Late last year, GM threatened to leave the country, stating that it was facing a 'critical moment' and did not intend to 'continue to employ capital to lose money'. 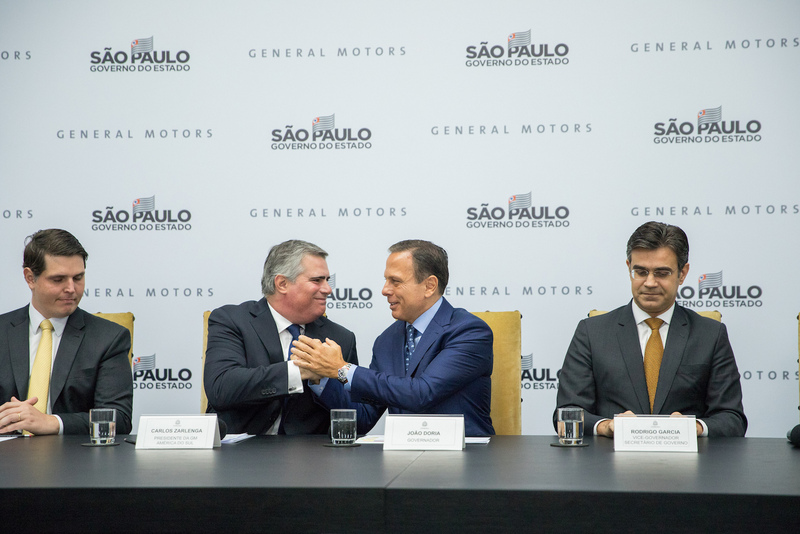 RIO DE JANEIRO, BRAZIL – Giant automaker General Motors announced on Tuesday it will invest R$10 billion in two plants in São Paulo state, after state governor, João Doria, announced tax incentives to be given by the state government to automakers that expand business in São Paulo. General Motors Mercosur President, Carlos Zarlenga and São Paulo governor, João Doria during announcement of automaker’s billion dollar investment, photo courtesy of SP government.